Recently, Harvard Medical School sponsored the “Career Advancement and Leadership Skills for Women in Healthcare” CME course directed by Dr. Julie Silver, MD, an associate professor and associate chair of the department of Physical Medicine and Rehabilitation (PM&R) at Harvard and Spaulding Rehabilitation Hospital. This 3-day course held in Boston each year is packed with training on leadership core competencies such as negotiation, strategic planning and executive communication. Each year, Dr. Silver also develops a national and international strategic initiative and this year it is the Be Ethical Campaign that calls on leaders and organizations to end gender disparities, using scientific methodology and data. Nearly 700 participants, including many top physician leaders as well as other healthcare experts, attended coming from all parts of the US and a dozen other countries representing all specialties. All participants were invited to disseminate the #BeEthical white paper—sharing it with leaders and others. “It was an obvious choice to travel to this conference as not only is it delivered by Harvard medical school, but it’s so unique in what it offers women, no matter their stage of career. Realigning yourself with purpose as well as using specific strategies from the conference can really move you from being only role-focused to having an impact. Thanks to the conference, I underwent further leadership training in Australia and leveraged that to work on planetary health communication for family doctors, together with international stakeholders; the WONCA working group on the Environment and the Planetary Health Alliance Clinicians for Planetary Health group”. The course addressed many issues that women in particular face in their careers. It was noted that the gender pay gap in medicine is still alive and growing and that women still have an uphill battle to fight for academic promotion. While many women work hard for this advancement, the system is stacked in favor of our male colleagues. Men are more often asked to be key note speakers as well as receive the lion’s share of the most prestigious academic and medical society awards, which are key factors determining advancing in academia. According to Dr. Silver, “For any award in medicine, there are more than 0 women who deserve it”. Other issues that women in medicine face include both macro-inequities, such as the obvious gender pay gap and micro-inequities. Micro-inequities include such things as calling male doctors by their title “Doctor” and women doctors by their first name. Another example would be perpetuating myths that hold women back, such as there not being enough women to advance to leadership positions, women don’t possess leadership skills, and women don’t want to be leaders. In a new report titled “Micro-inequities in Medicine”, Dr. Silver and colleagues explain the ethical and legal issues pertaining to this pervasive form of discrimination. Not only did the course identify the added obstacles women leaders face, experts taught tips on how to overcome them. During the didactic portion, experts discussed advice for mastering social media, overcoming burnout, strategies for innovation, negotiating tips, effective communication skills, defining and developing leadership styles, overcoming both macro- and micro-aggressions and much more. And no one will ever forget the talk on “Lifestyle Medicine for Leaders” lecture by Beth Frates, a leading specialist in the field, and her hula hoop demonstration. 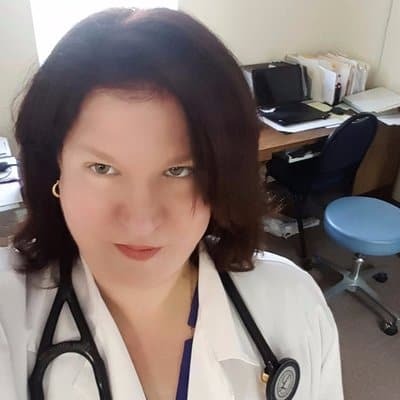 She teaches at the course every year and tells us: -“The conference is one of my favorites, because I get the chance to connect with powerful physician leaders from all over the US and the globe. It inspires me each year as I meet like-minded women doing ground breaking work. Together we can make a difference. I am always grateful when Dr. Silver includes me”. In addition to the main lecture series, experts conducted other talks and roundtable discussions around many topics. Lisa Tener, a book writing coach, author, and speaker was present to give attendees advice on how to write winning bios as well as getting started writing in general. Other experts gave social media tips, networking strategies, how to pitch ideas, and much more than can be covered in this article. It is important to note that the conference wasn’t exclusive to women, and one of the male speakers addressed how to get more men aligned with gender equality issues. The men present were advocates and allies—learning alongside their women colleagues the importance of honing one’s leadership skills and simultaneously focusing on supporting the workforce equitably. It was emphasized that gender inequalities create problems for all genders, and an “all hands on deck” approach is needed to change the status quo. While this is only a small snapshot of the topics covered and experts present, the networking opportunities were perhaps the most useful feature. Women leaders made connections that can potentially advance their careers and the effects of being present may last a lifetime. The excitement and energy at this conference was palpable and felt by all. There is no way to measure the impact of the high quality leadership training combined with the exchange of intellectual ideas on social justice and equity. With these amazing leaders unleashed unto the world of medicine, the time of gender inequities is almost certainly going to diminish, and the landscape of healthcare will forever be changed for the better. This course sells out every year, so save the dates for next year: November 14-16, 2019, and plan to be in Boston for world class leadership training. I agree about the networking being such a highlight. I sensed that women are starting to make progress in addressing gender inequity and that this conference is moving the issue forward in a powerful and visible way. Having participated on the faculty for all three years, it’s exciting to see how this conference is growing — the need is great and word is getting out! It was such a pleasure to have seen you at the conference. I have always been inspired by your talks every year and it is women leaders like you who make this such a great event. Hope to see you every year!